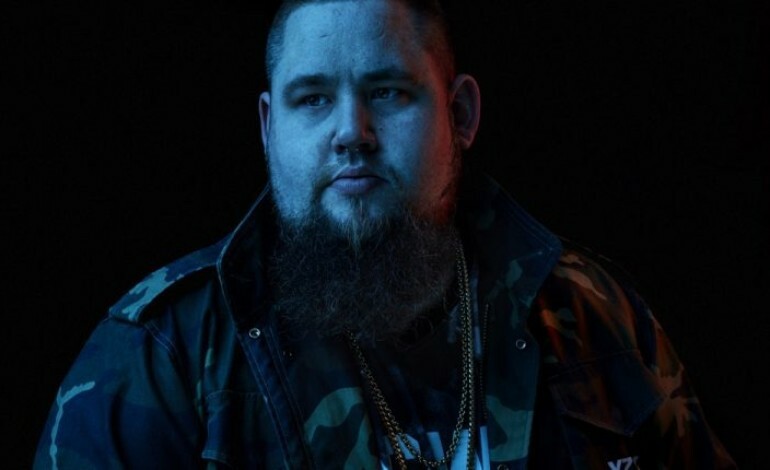 The first wave of acts have been revealed today for the London-based, family-friendly, OnBlackheath festival 2019. Among the names announced in the first wave of confirmed artists, that will be performing at the festival, is headliner Jamiroquai, whose performance will be a UK exclusive, and the legendary Grace Jones. 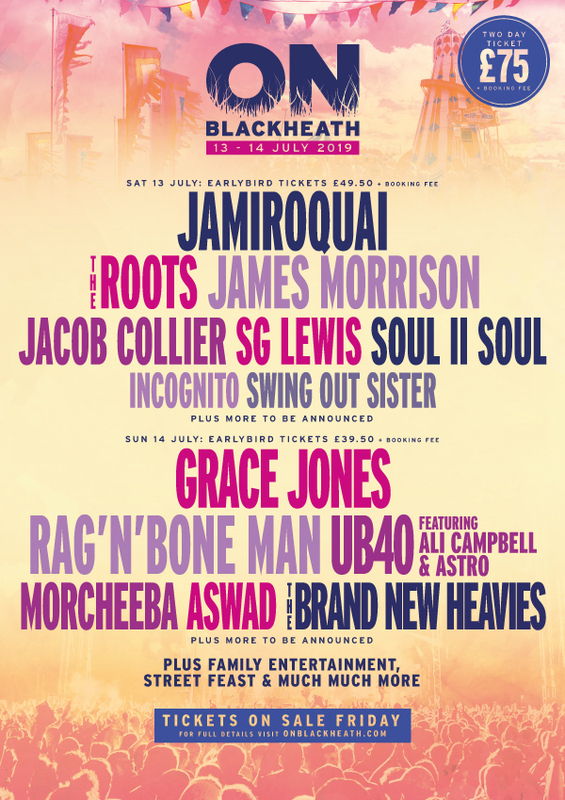 The returning, OnBlackheath festival, will take place, in South-East London, on the 13th and 14th of July 2019. Tickets will go on sale, at 10am, on Friday the 12th of April 2019, and will be available to purchase here. The announcement today revealed that Jamiroquai will headline the family-friendly festival, which will be a UK exclusive from the funk-pop favourites, who will be taking to the main stage, on the Saturday (13 July) night. Meanwhile, the legendary Grace Jones is set to join them at the top of the bill, taking to the stage, on Sunday (14 July) night. Her performance at this year’s OnBlackheath comes five years after she made her debut at the festival. Joining headliners Jamiroquai, on the Sunday night, at this year’s OnBlackheath festival will be The Roots, James Morrison, Jacob Collier, SG Lewis, Soul II Soul, Incognito, and Swing Out Sister, with more still to be announced. Meanwhile, the following names have also been revealed to be joining, the already stellar line-up and headliner Grace Jones is Rag ‘N’ Bone Man, UB40 featuring Ali Campbell and Astro, Morcheeba Aswad, The Brand New Heavies – who will all be taking to the stage on Sunday (14 July) night. ONBlackheath has been a staple on London’s festival scene since 2014, previously hosting the likes of Madness, Massive Attack and Primal Scream. Also taking up residency at the festival is, Street Feast, who run London’s greatest day and night street food markets, will offer a dazzling array of food and drink at this year’s festival – foodies, rejoice! Alongside the music, OnBlackheath, offers an array of family entertainment, which will take place, in The Family Playground area, with TV stars Mister Maker and Andy Day and his band Andy and the Odd Socks for the kids, as well as everyone’s favourite teddy bear Sooty holding his very own Birthday Bake-Off, presented by Bonnie Spencer. Also on-site at the Family Playground will be bestselling author Sam Copeland and Roald Dahl Funny Prize winner Jim Smith, along with masters of hilarity Comedy Club 4 Kids and The Flying Seagull Project. Interactive musical fun will come courtesy of Boppin’ Bunnies and The Pop Bingo Disco, along with some astonishing visual displays from The Science Museum and Samsam Bubbleman’s Giant Bubble Show. Other family activities include the Science Museum’s slime workshops, interactive game zones with The Actual Reality Arcade and Albion Kids Show Soft Play and Pirate Ship, arts and crafts workshops with Daemon or Doppelganger? and OTHERWORLD ARTS as well as going up close with a range of extraordinary animals at Maynard’s Mini Zoo.